Recently I’ve been waking up in the night, heart pounding, mouth dry, with a searing flash of worry in my brain. My first thought is that I’ve misplaced something important, forgotten something vital. It’s that ‘I’ve left the baby on the bus’ feeling. It takes me only a few seconds to realise that both my babies grew up long ago. Then I remember, thankfully, that they’re fine – they’re old enough to look after themselves and, mercifully, they’re safe. Finally the problem dawns on me. I’m a writer. The baby I think I’ve left on the bus is one I’ve created. Not real, not flesh and blood. He’s fictitious. But somehow that fact doesn’t make me feel any better. When my newest book was a manuscript, waiting on my editor’s desk to have its fate decided, I spent night after night waking up in a cold sweat. It’s not that the novel feels like my baby (I wouldn’t usually feel this anxious about a new book). No, it’s because I’ve been writing about Tomos, the main character, for almost 14 years now. He’s been my pet project – tucked away in a file on my laptop and scribblings in notebooks – and he’s seen me out of my forties and into my fifties, while I get on with my other, more cheerful writing. My real-life children have grown up in that time. Tomos has not. He’s still five. He’s still scared, hungry and alone. And now my novel’s been published. It’s out of the safety of my laptop and in the hands of other people. Some of them will be people I know, but most of them will be people I’ve never met. And that’s the whole point of writing and publishing a book. As authors, we want our books to be read by as many people as possible. But Tomos, he’s five. He’s like my child. And I’ve just abandoned him. If you can remember the first time you left your child at nursery, or the first time they walked through the gates of that huge comp, or when you drove off and left them at their college hall of res, you’ll understand how I’m feeling. Tomos. He’s out there. He’s at the mercy of others. I can’t tell him it’ll be OK anymore. I want to pull him back. I want to hold him to me and never let him go. But it’s too late. He’s off into the big wide world and there’s no reversing that. All I can do is ask – if you find Tomos, scared and alone, somewhere out there on your travels, please take care of him for me. P.S. I wrote this after very little sleep and a large glass of wine – I think it shows! Not feeling quite so worried about my little boy now that I’ve had lovely feedback from some wonderful people who, it turns out, care about Tomos almost as much as I do. 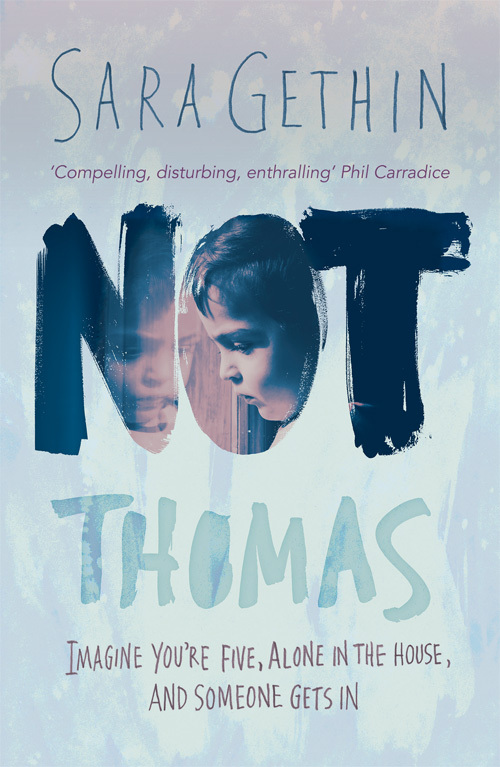 Sara’s debut novel for adults ‘Not Thomas’ is published by Honno Press in paperback and on Kindle and is available to pre-order now at £8.99 on Amazon. It’s another part of the process – I recall it in detail. I remember having to change the title of Ghostbird & hoping it would help – as if by giving her another name, I’d be better able to let her go. It was only partly successful; when the time came it was still harder than I imagined. Oh I hope so…I certainly hope so. Like a zombie at the moment as I’m still not sleeping and I’m having to do lots of social media stuff after the launch – God knows if I’m making any sense! Hope you’re having a better day, Ben. P.S. See you’ve slowed the pace a bit on blogging – good for you! ((((Hugs)))), dear Sara – this sounds SO hard!!!! Your caring, sensitivity and dedication (i.e. writing about your five-year-old over the past 14 years!!!) have all made you into an amazing writer. It’s not an easy path, to say the very least. Oh thank you, Dyane. I can do with all the hugs I can get! I’m in a bit of a spin, to be honest, and in tears when I see the comments of people who’ve read Not Thomas. Couldn’t have wished for a better response. It all seems unreal – starting with my pre-publication book launch at the weekend. Will blog about that when I get a chance. Looking forward to watching your vlog about Toaster Masters when I get a moment to myself.